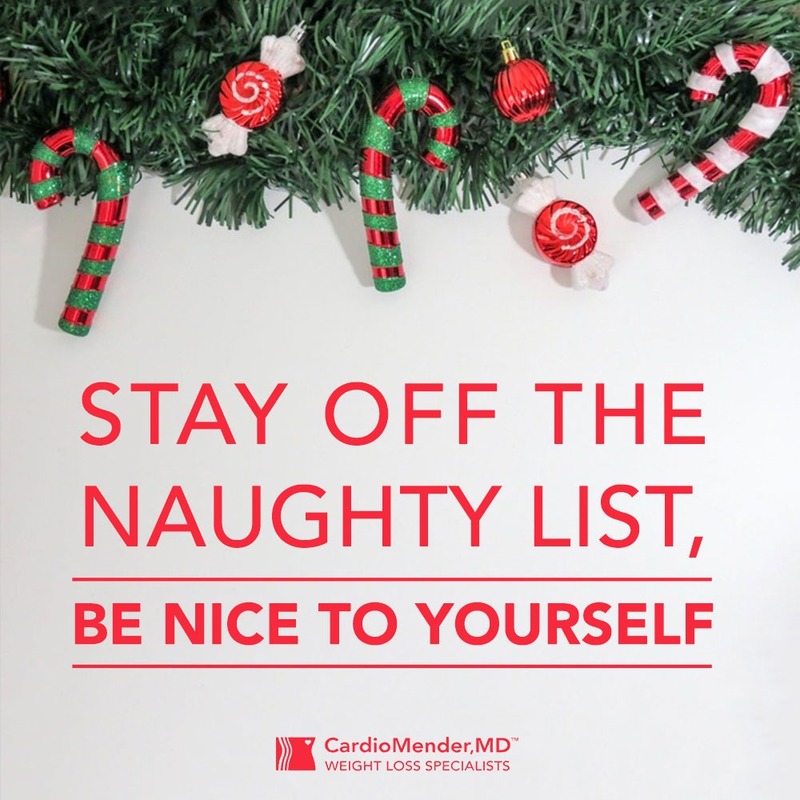 December is here, and while the Christmas season is something that most of us look forward to each year, it can be challenging to maintain our health and weight goals during this time. The lack of routine, busy social schedule (hello endless holiday parties), and delicious food around every corner can be overwhelming. 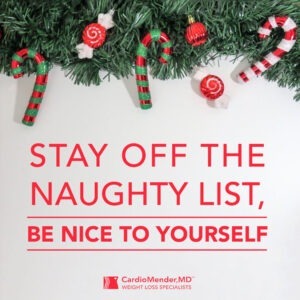 Luckily, there are plenty of habits you can incorporate to look after your body this holiday season, while still enjoying yourself! We’ve compiled 5 important and often overlooked tips to help you. NEAT stands for non-exercise activity thermogenesis, or more simply the energy you burn while doing everyday activities like walking to the store and cleaning the house (1). Contrary to popular belief, the amount of time you spend exercising in the gym doesn’t burn nearly as many calories as all your daily activity combined. We tend to be less active during the holiday season and as a result our NEAT drops and there is a risk of weight gain. A small but powerful change you can make at this time of year is to be mindful of things that increase your daily activity. Park farther away from the entrance to the mall, take the stairs instead of the elevator, and do some squats while watching a Christmas movie. Make activity fun by going for a walk with loved ones or having a family dance party to Christmas songs. The increase in social engagements, travelling and general busyness over the festive season often results in a disrupted sleep routine. Not only can this leave you feeling exhausted and grumpy, but it can also affect your weight. If you’re sleep deprived and feeling low, it is far more likely that you’ll choose easy, high-calorie snacks and meals for a quick energy boost. Studies have shown a lack of sleep increases the levels of the hunger hormone ghrelin, which will have you wanting to eat all day (2). Look after your mental and physical wellbeing by prioritizing sleep, even if this means missing a social event or leaving a party slightly early. Keep your room cool and dark at night and remove all electronics to avoid distractions and artificial light. It may not always be possible, but try to go to bed and wake up at the same time each day, while aiming for 7-8 hours of uninterrupted sleep. Your body will thank you! There is no need to avoid your favorite holiday foods altogether, but you can easily fall off the health wagon completely at this time of year if you’re unprepared. So, making meals in advance can save you and your waist-line. Here are some tips for meal prep success during the holidays. -Mornings can be so rushed that we forget to eat, but skipping breakfast may increase the risk of weight gain. Prepare nutritious breakfasts in advance to start your day off right by balancing your blood sugar levels and giving you energy for the day. Boiled eggs, overnight oats, low-fat yogurt and fruit, or a protein shake are all easy and healthy options. –Meal prep will help with portion-control which can have an overall beneficial effect on weight management (3). Store your prepped meals and snacks in freezer-safe containers in appropriate portion sizes. Don’t be tempted to fill large containers to the top. -Eating plenty of fiber slows down digestion, helps you feel fuller for longer and reduces level of hunger (4). Fibrous foods will also provide a larger volume of food for fewer calories, which may help you to maintain or lose weight. When prepping food, make sure vegetables, fruit, legumes and whole grains make up about half of the meal. -Prioritize snacks to keep your blood sugar stable and always eat something before you go to a holiday party. Going to an event on an empty stomach is a recipe for disaster as you’ll be more likely to over indulge on unhealthy foods. CardioMender, MD has a great selection of low-glycemic meals and snacks that can make meal prep easy. Stock up on healthy protein bars, protein shakes, muffins, high-protein pasta, soups, wraps, crackers and more at www.cardiomendermd.com so you won’t be caught off guard this season. Drinking plenty of water has a variety of health benefits, and proper hydration has been shown to have a favorable effect on weight loss (5). Unfortunately, during this time of year we often forget to drink enough water and this may lead us to confuse thirst for hunger. And to make matters worse, more social gatherings means more pressure to drink alcohol. –Always keep a bottle of water with you as a reminder to stay hydrated. –Alcohol acts as a diuretic, so sip on water between alcoholic beverages. –When drinking alcohol opt for a smaller glass size. –Choose drinks with lower calorie spirits such as vodka, gin and whiskey. Add lemon juice, soda water and ice instead of high-calorie mixes. –Steer clear of cocktails and drinks that are mixed with sugary concentrates, syrups and soft drinks. –Avoid beer and sweet wines that are high in sugar. –Be mindful of the drinks you consume and avoid topping off your glass throughout the night. There’s no denying the holiday season and stress seem to go hand-in-hand. While this is a joyous time of year, there is a lot of pressure to make everything perfect. Stress can lead to weight gain through a phenomenon known as “stress eating” where one eats large amounts mindlessly for relief and comfort (6). And foods high in sugar and fat are often the comfort of choice! Manage your stress levels this season by taking time out to relax and ask for help. Learn to delegate tasks so the cooking, shopping and hosting duties don’t all fall on your shoulders. Incorporate some stress reduction techniques into your daily routine such as exercise, stretching, mindfulness meditation and deep breathing. Studies have shown that holiday weight gain is a significant contributor to weight increase over the year (7). But this doesn’t have to be the case for you. By prioritizing sleep, activity, hydration, meal prep, and stress management you can stay on track with your health goals while still enjoying the holidays to the fullest!